Barbara Reynolds came to Hiroshima in 1951 with her husband Earle Reynolds and her children. Earle had been sent as a part of a U.S. study team charged with examining children exposed to radiation. This work was in conjunction with the Atomic Bomb Casualty Commission (ABCC). Three years later Barbara, Earle, and two of their three children left Hiroshima with three young Japanese crewmen on their newly launched yacht named "Phoenix of Hiroshima". Traveling around the world in their own yacht had been a lifelong dream. As they traveled, the family's interest in world peace developed. The people they met asked questions of their Japanese crewmen about the aftereffects of the atomic bomb. The Reynolds learned more as they listened. They also witnessed the heroic deeds of some protesters against nuclear testing in the South Pacific who sailed into the "forbidden zone" where the testing was being done and were put in jail. With a sense of mission, Barbara and her family decided to protest by sailing to the "forbidden zone" themselves. This resulted in Earle's arrest. 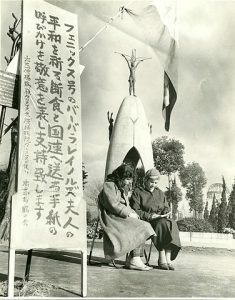 They also protested after returning to Hiroshima against the Soviets' nuclear testing by sailing their yacht to Nakhodka and carrying protest letters against Russia's nuclear testing. The USSR, however, rejected their request to dock. After a rough voyage back from Russia to Hiroshima, Barbara began a Peace Pilgrimage taking along a hibakusha and a young man who was orphaned by the A-bomb. They took the story of Hiroshima's suffering to 12 countries including all of the nuclear nations. Back in Hiroshima again, she invited Francis Ross, whom she had met on the Peace Pilgrimage, to come to Hiroshima from California for a year to help open a house called Friendship Center. It was to serve as a place where visitors from around the world could meet hibakusha (A-bomb victims). In 1964 Barbara left with a much larger group of hibakusha and interpreters on a World Peace Study Mission taking them to eight countries including four countries, USA, France, England and Soviet, that had nuclear weapons and 150 cities over a 75-day period. Soon after her return to Hiroshima, she and Earle were divorced. 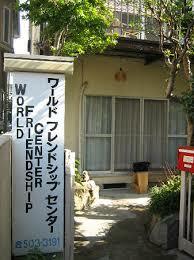 In August 1965, the World Friendship Center was dedicated. It continues as a center for building friendships and promoting peace. In 1969, Barbara returned to the U.S. to live, devoting herself this time to helping refugees from Cambodia and Vietnam. Now directors come from the U.S. to volunteer their time and services to keep the Center operating. 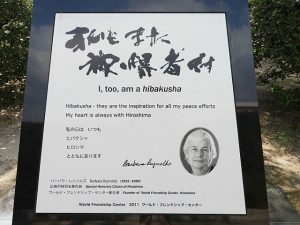 Barbara is "Kashin" or "Hearing from Flowers" according to Dr. Tomin Harada, a Hiroshima surgeon who was the first honorary chairman of WFC and was known as the closest friend of Barbara. The term "Kashin" is associated with someone who sows seeds, but lets others enjoy the results of his/her deeds. 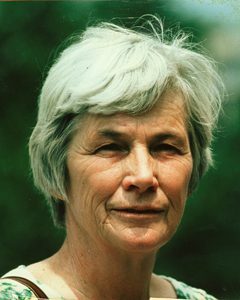 As a Quaker, Barbara lived with faith, praying before acting, and acting with a deep love of humanity. She died on February 11, 1990. Barbara donated her extensive library of books on Hiroshima, Nagasaki, nuclear weapons, and war and peace, and was a major force in the inauguration of the Hiroshima-Nagasaki Memorial Collection, which is a part of the Peace Resource Center (PRC) on the campus of the Wilmington College in Ohio. expressing her hope for world peace in the future. her vision for the future of Hiroshima as a city of hope.